Do we need another recording of Chopin’s Nocturnes? Not really! But when one hears this brand new double-CD from Claire Huangci, which comes out on 5th May, the answer is yes! This is not a dreamy quasi-improvisation or playful salon music, and neither does the interpretation go after gut feeling. On the contrary, this is an extremely clear and pure recording with gravitas, significance and considerable appeal which certainly must be taken seriously. In Claire Huangci’s playing, the flow of the music does not run away with itself or become arbitrary, but rather remains intensely alert: her attack is delicate yet distinct. (…) Irresistible yet always considerate and alert, Claire Huangci lets herself become captured by the magic of [Chopin’s] music. A whirlwind at the keyboard with an immense enthusiasm for playing, the pianist has also developed a musicality and a colour-rich tone, which, along with her apparent technical ease, is merely a springboard for a wholly individual musical conception. Her Mozart Concerto was captivating, a flawless performance with lively, sparkling runs, and an abundance of musical ideas. She [Claire Huangci] mastered Beethoven’s Piano Concerto No. 4 with a performance that was full of character and measured forcefulness, and won the competition. It is my intention to make music that stays in one’s memory not just because I had quick fingers but because it was so moving. 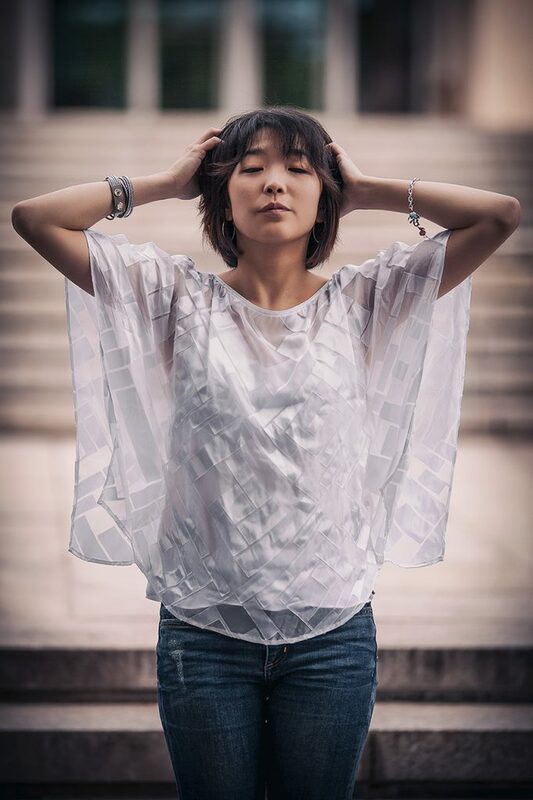 The young American pianist of Chinese descent, winner of the first prize and Mozart prize at the 2018 Geza Anda Competition, has succeeded in establishing herself as a highly respected artist, captivating audiences with her “radiant virtuosity, artistic sensitivity, keen interactive sense and subtle auditory dramaturgy” (Salzburger Nachrichten). Claire Huangci began her international career at the age of nine with grants, concert performances and prizes, becoming the youngest participant to receive second prize at the International ARD Music Competition in 2011. Only in her later teenage years did she finally feel more and more that this instrument was to be her vocation. She received significant input from her teachers Eleanor Sokoloff and Gary Graffman at the Curtis Institute in Philadelphia before studying under Arie Vardi at the University of Music, Drama and Media in Hanover. She has assisted Professor Vardi since her graduation in spring 2016. Chopin’s music gave Claire Huangci her artistic breakthrough when she won first prizes at the Chopin Competitions in Darmstadt in 2009, as well as in Miami in 2010. She has since proved her great versatility with an unusually broad repertoire, which includes a large number of contemporary works. Claire Huangci has performed in solo recitals and as a partner with international orchestras such as the Mozarteumorchester Salzburg, Stuttgart Radio Symphony Orchestra (under Sir Roger Norrington), Tonhalle-Orchester Zurich, Münchner Kammerorchester, China Philharmonic Orchestra and Vancouver, Santa Fe and Moscow Radio Symphonies at international concert venues that include the Carnegie Hall, Wiener Konzerthaus, Konzerthaus Berlin, Gasteig Munich, Gewandhaus Leipzig, la Salle Cortot, Oji Hall Tokyo and the Symphony Hall in Osaka. She has also made guest appearances at festivals such as the Kissinger Sommer, Verbier Festival, Menuhin Festival Gstaad, Schleswig-Holstein Musik Festival, Rheingau Musik Festival and the Schwetzinger SWR Festival. After a busy last season with highlights including solo debuts at the Elbphilharmonie Hamburg, Klavier Festival Ruhr, and a tour through China with the Vienna Radio Symphony Orchestra and Cornelius Meister, she begins the 18/19 season with concerts with the Bern Symphony orchestra under Mario Venzago. Further appearances will lead her to the Vienna Konzerthaus, Franz Liszt Akademie Budapest, Zurich Tonhalle, Tokyo Suntory Hall, and Washington DC Smithsonian Institute. After the releases of her debut CD with solo works of Tchaikovsky and Prokofiev and her prizewinning double album of Scarlatti sonatas, (German Record Critics‘ Award and Gramophone Editors Choice) she released a celebrating recording of the complete Chopin nocturnes in Spring 2017. “Do we need another recording of Chopin’s Nocturnes? Not really! But when one hears this brand new double-CD from Claire Huangci, the answer is yes!” (Süddeutsche Zeitung) Just in time for the start of the new season, Claire will release her fourth solo album with Berlin Classics/Edel featuring the complete preludes of Sergey Rachmaninov.